Turnip cabbage is yummy. And very easy to prepare and cook. This is a recipe I got originally from my wife. By now it’s an often cooked dish in our home. 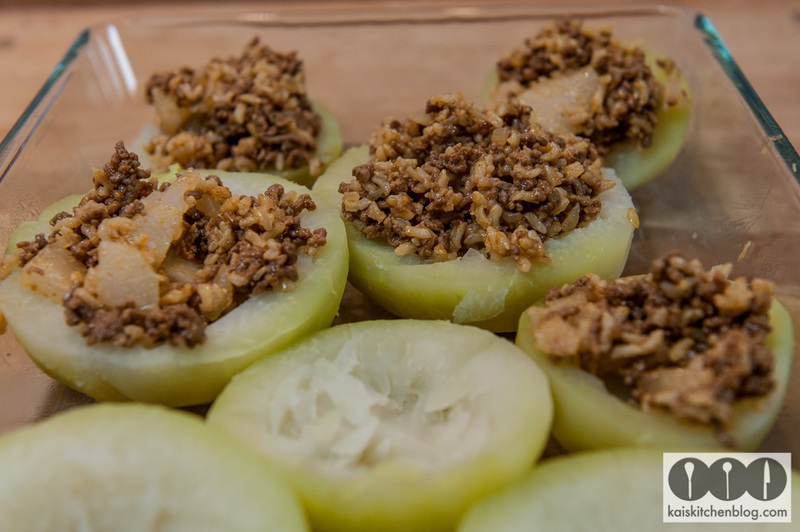 Not only because I really like the taste, but also because it’s easy and fast to prepare. Start with cooking the rice according to its preparation instruction. 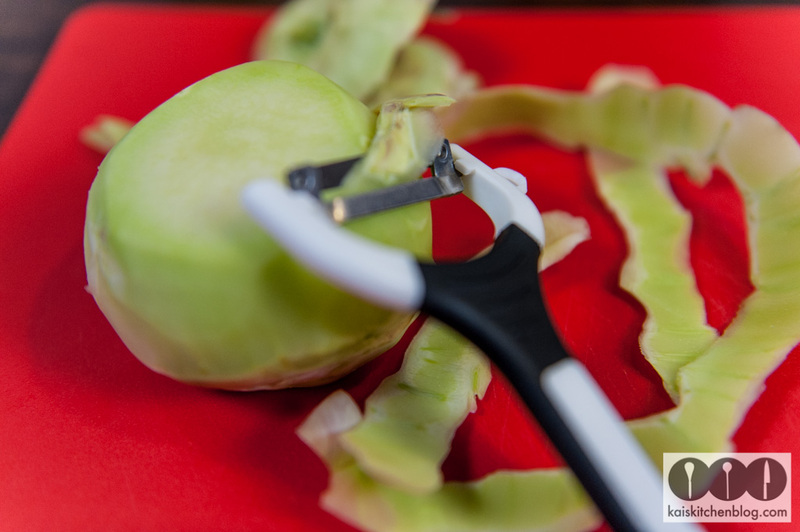 Peel the turnip and cut it in half. Take a pan and pour in some olive oil. 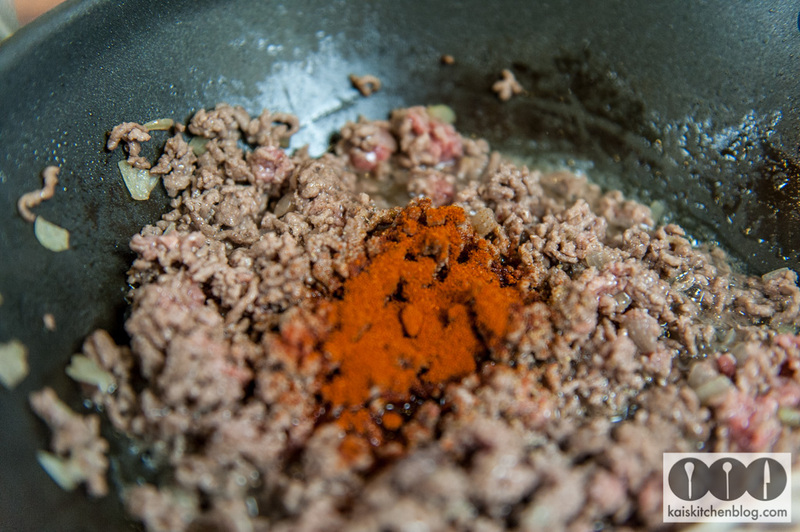 Fry the minced meat. 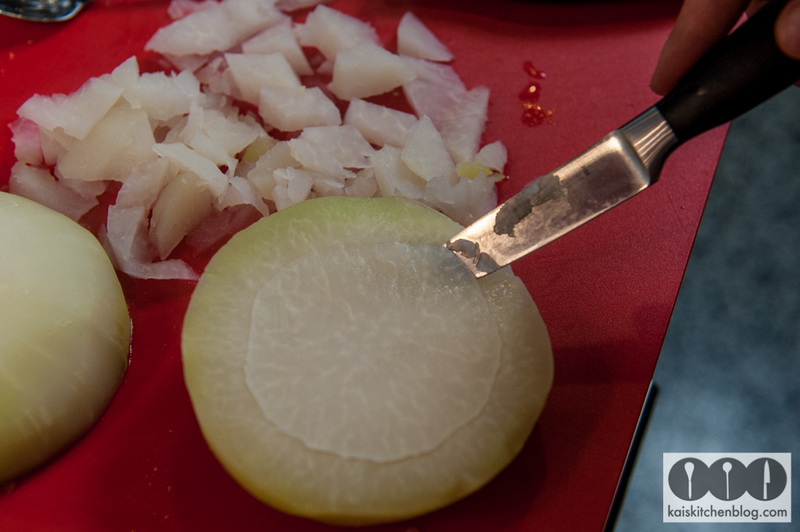 Dice the onions and give them to the minced meat. When all is fried nicely add the paprika powder and cook some moment (not too long – otherwise it gets bitter). Take from the fire and put it aside. 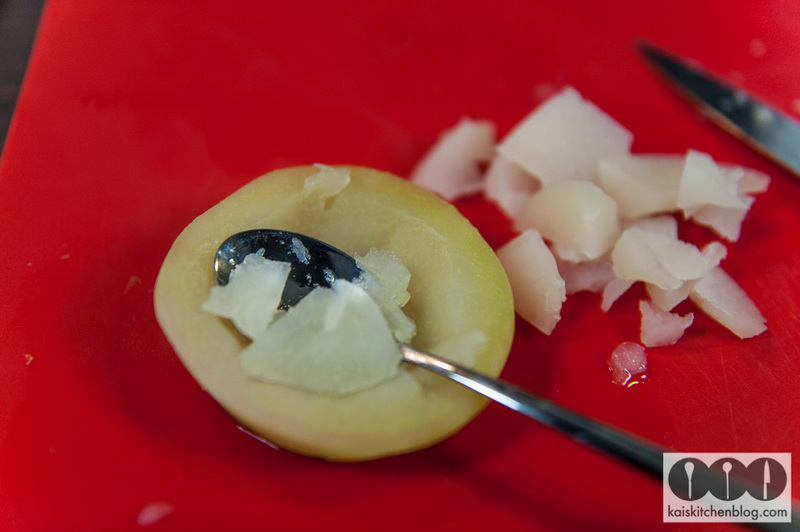 Hollow out the turnip with a spoon. To make it easier you can pre-slice it a bit with a small knife. Cut the taken out stuff in small pieces. 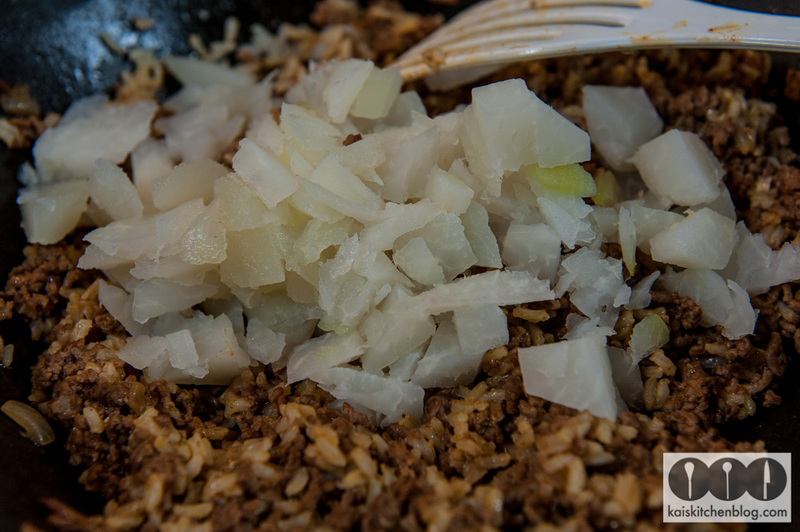 Mix the ready cooked rice with the turnip take out and the minced meat and put on the fire again. Fill up with 250 ml of water and season to taste with salt, pepper and caraway powder. After that put the turnip halves in a casserole dish and fill in the stuffing. Try to leave the sauce in the pan. 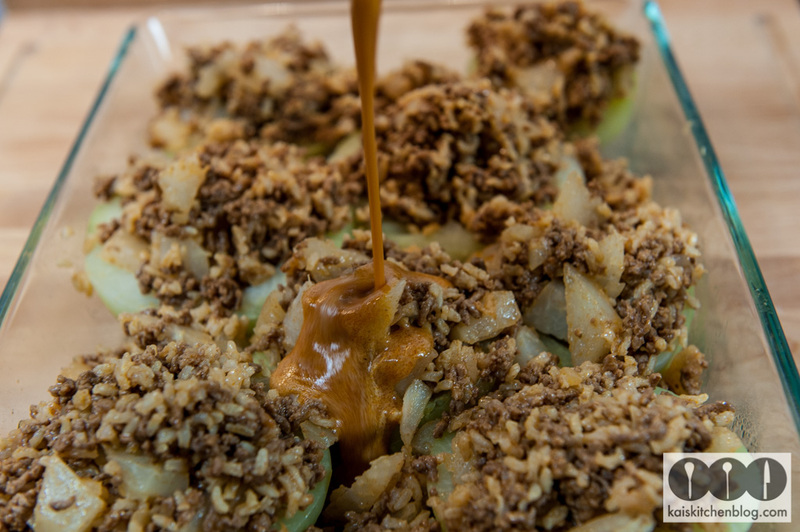 When all turnip is stuffed pour the sauce over it, so that the casserole bottom has a thin saucy layer. 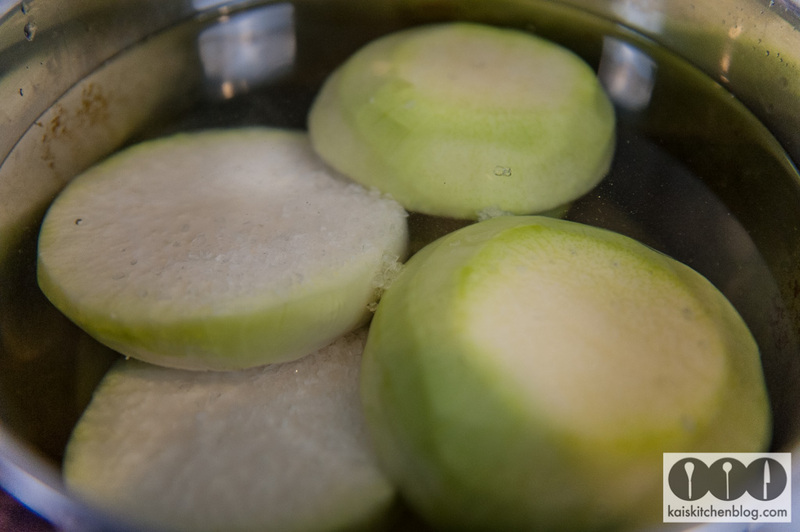 Pre heat the oven on 180 degrees celsius and bake the turnip for 20-30 minutes. The exact time is depending on the size and the firmness of the turnip. Just check in between with a small knife if its cooked. 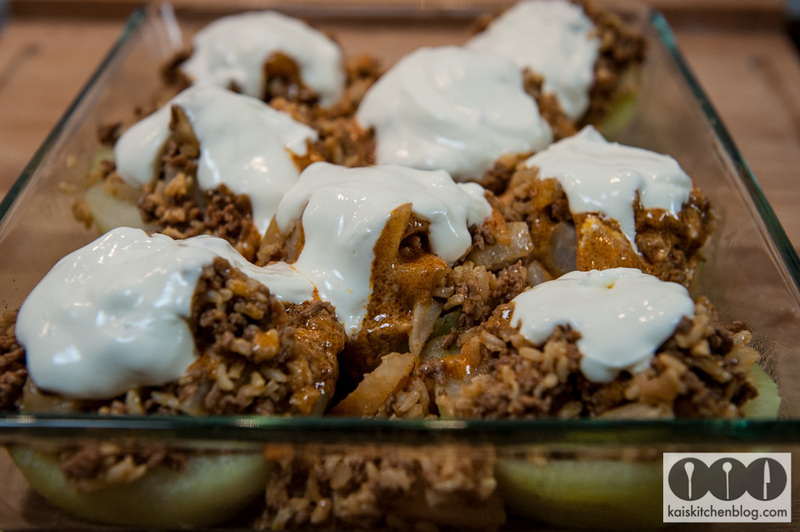 Finally mix the sour cream in a small bowl with 2-3 spoons of water and pour it over the ready baked stuffed turnip. 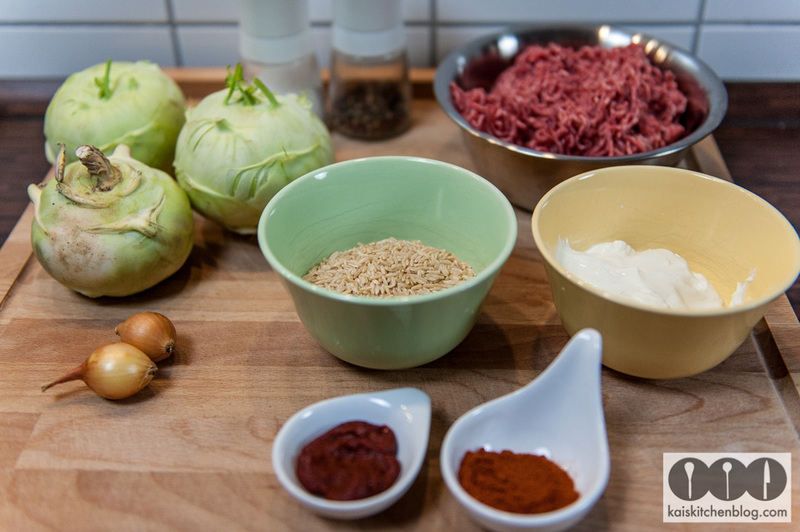 Dieser Beitrag wurde unter English, Kai Style, Main course, Quickly done, Recipes, Side dish, Starters abgelegt und mit Auflauf, Basics, creme fraiche, Hauptgericht, Kai Style, Kohlrabi, Mett, Rezept, schnell gemacht verschlagwortet. Setze ein Lesezeichen auf den Permalink.